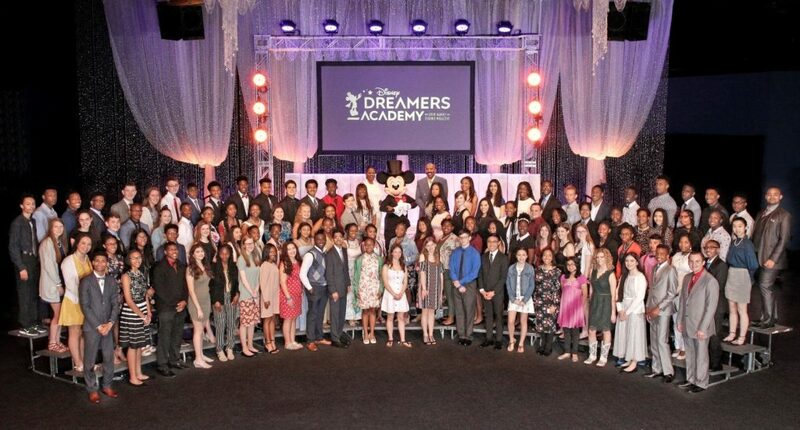 One Hundred students from across the country celebrated the conclusion of the 12th annual Disney Dreamers Academy with Steve Harvey and ESSENCE Magazine, with an emotional commencement ceremony featuring inspirational speeches by Walt Disney World Resort President George A. Kalogridis and television-radio personality Steve Harvey. The teens, or Disney Dreamers as they are called, were selected from among thousands of applicants to participate in the four-day, once-in-a-lifetime educational mentoring program that takes place annually at Walt Disney World Resort. Since its inception in 2007, more than 1,200 students have participated in the career-discovery journey that is Disney Dreamers Academy. Students are inspired to discover new career opportunities, pursue their dreams and interact with participating celebrities and motivational speakers. Disney Dreamers Academy is an important part of Disney’s commitment to helping the next generation of young people by inspiring them at a critical time in their development. The Disney Dreamers Academy theme is “Be100,” encouraging teens to be positive, to be “all in” and to carry what they learn back with them so they can achieve their full purpose and make a difference in the lives of others. Along with a parent or guardian, each Disney Dreamer received an all-expenses-paid trip to Walt Disney World Resort where they learned important networking skills, participated in hands-on career workshops and created fun memories to cherish for a lifetime. Applications are now open for the 2020 event, which will take place next March at Walt Disney World. High school students ages 13-19 can apply at DisneyDreamersAcademy.com. Students apply by answering a series of essay questions about their personal stories, the influential people in their lives and their dreams for the future. The final 100 participants are selected by a panel of judges.